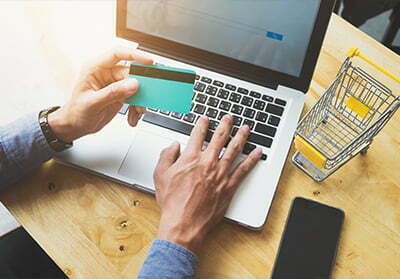 As e-commerce continues to bloom, it has become a new playground for new entrepreneurs to float their ideas and introduce newer products and services to worldwide customers. However, as it grows more crowded and becomes more competitive, it takes extra effort to find your feet and emerge as the most powerful contender to stand out from competitors. Here are top tips for new entrepreneurs to carve out a niche in this booming marketplace and get right on the track right from the beginning to reach your milestone. Search engine optimization is one the one the highest return activities that can help to drive traffic and boost conversions for your website. With the right strategy, you can not only gain more traffic to your site but also drive the right kind of audience that boosts the growth of your e-commerce portal. It lets you respond promptly to shift in market conditions and customer’s taste and demand so that you can actively provide the products or services your audience is seeking. With staggering statistics that suggests that mobile purchases account for more than half of online shopping, having a mobile-friendly website has become one of the most critical facets of having a successful site. With e-commerce web development, you can create a website that is simple and easy to navigate. The ability to view products and conveniently make purchases from your mobile phone have become a fundamental necessity for any emerging ecommerce webstore . With efficient e-commerce management services, you can design an appealing mobile experience for your audience. Speed – A quick checkout process that helps your customers order easily and conveniently is a must. The long delay between hitting the order button and ordering the product can damage your credibility, making your customers wander somewhere else to find similar products or services. Easy to use – Make the entire process seamless, wherein new users can quickly purchase and return customers can conveniently re-order without going through the whole process again. Communication – It’s important to let people know where they are in the purchase process and what they need to do to complete the process. Progress bars or indicator bars can put restless shoppers at ease. With quality e-commerce management services, you can design a better e-store that helps you to provide better products and services to your customers. These tried and tested tips will help you get ahead in this competitive digital space, and take your online business to the next level.